HALIFAX - A preliminary hearing for a Halifax man accused in the death of an off-duty police officer has been tentatively set for five days in July. However, the July 11 to 15 dates for Christopher Calvin Garnier hinge on whether the defence gets all of the evidence disclosure it needs in the meantime. A focus hearing will be held April 7 in order to determine whether the case can proceed in July, and if not five backup dates have been set for September. 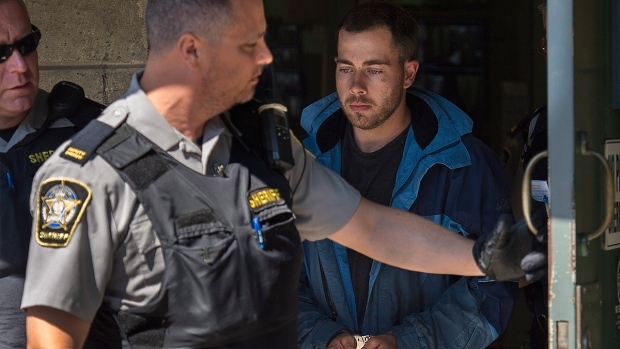 Garnier, who wasn't in court today, is charged with second-degree murder and indecently interfering with a dead body in connection with the death of 36-year-old Catherine Campbell in September. Campbell's body was discovered Sept. 16 near an overpass that leads to the Macdonald Bridge connecting Halifax and Dartmouth. She was reported missing two days earlier when she didn't show up for work with the Truro Police Service.